The content for this podcast is provided for general informational and entertainment purposes only. It is not intended as legal advice. The content of this podcast does not establish an attorney-client relationship between the host or the guest and the general audience. 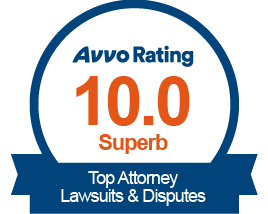 If you need specific legal advice for your legal matter, please contact an attorney in your area. Schenk: Hello out there and welcome to Episode 36 of the Nursing Home Abuse Podcast. My name is Rob Schenk. Schenk: And we are trial lawyers practicing in the areas of nursing home abuse and neglect in Georgia, and we happen to be your co-hosts for this particular episode. It is theoretically when this comes out, it will be September 18, so high time for pumpkin spiced everything. That’s Will’s favorite flavor for everything. Smith: It is absolutely not my favorite of – well, that’s not true. I like pumpkin spiced ice cream. Schenk: That’s why I said it. Smith: Okay, Trader Joe’s has a pumpkin spiced ice cream that I really enjoy. I don’t like it in my coffee. I drink my coffee black, sometimes with a little cinnamon. That’s it. Schenk: Yeah. Lots of good things in the podcast in this particular episode. Actually this is a groundbreaking episode for us. This is going to be the first time that we ever have a guest on this show, so that’s a technological advancement that I didn’t think we’d be able to get to, but we have. We’ve gone over that hurdle. Today’s episode, we’re going to be talking about the probate process and what happens when your loved one has passed, and we deal with this issue because a lot of clients that we take, a lot of the clients that we have, their loved ones have passed in a nursing home, and aside from just the civil aspect of bringing a case against a nursing home, these individuals and their families are having to deal with what happens with the passing of a loved one. And so for that reason, we have attorney Scott Fields on the program. So Will, who is Scott Fields. Smith: So like Rob was saying, we handle one particular remedy for families that have nursing home residents that are going through something. And we handle the personal injury aspect, which is essentially malpractice, medical malpractice, against a nursing home. But inevitably, there are going to be wills, trusts, estates and probate issues involved with the case, and so we form a group of wills, trusts and estates attorneys to help us with these cases. And Scott is somebody I met and had lunch with, got to know him, and he’s just an absolutely phenomenal probate attorney, extremely meticulous. He’s a former software engineer. He’s a probate and real estate attorney. He’s in Tucker, Georgia. He’s married. He’s got 14, 8 sons. He grew up in Chamblee in Northcross, and he’s lived in Tucker, Georgia, for almost 20 years. He graduated from our alma mater, Georgia State University College of Law in 2011. For over five years, Scott was a real estate, small business and probate litigator. Since forming his own firm this past February, Scott has focused on estate planning and administration. He enjoys using his litigation experience to help guide people through the probate process and to help resolve issues with estate and inherited property. He’s absolutely phenomenal and we’ve used him for many cases. Scott, welcome to the show. Fields: Hi, thanks for having me on. Smith: All right, it works. Technology. Schenk: It works. Technology. So Scott, thanks for being here. I actually want to dive right into the content, okay? So can I walk you through a scenario that happens in our office? We have a family member, we’ll just say the son or daughter of an individual that was residing in a nursing home that has passed. They’re concerned that there could be neglect or abuse, and they’ve come into our offices to have attorneys investigate that, but they have questions regarding what happens now with regard to the estate. Can you kind of – what are some principle things they need to consider? Fields: Okay, so the very first thing that they’re going to do is first they need to carry out the wishes of the person who’s passed away. Sometimes people will leave instructions sometimes in what’s called an advanced directive for healthcare, sometimes in the will itself. And you’re going to want to carry out the wishes regarding organ donation and perhaps body donation, donating the body to a hospital or to a research university, and of course, burial or cremation. So that’s really the first step. And after that, of course, you have the funeral or the memorial service, and then really what you want to start doing at that point is preparing for the probate process, and really what you want to start with is looking for the original will. You have to have the original. If you don’t have the original, it is possible to probate a copy, but it is extremely complicated. So you’re looking for the original will. Hopefully somebody has a copy or else the person who has passed kept the originals in a place that is easy to find, hopefully not just simply in a filing cabinet – maybe a fire safe, maybe a safe deposit box. If you cannot find the original will on your first pass, then you want to start checking with the person’s attorney. If the person has an attorney that they were working with or if you know that they had a probate attorney to prepare the will or other estate planning documents, check with that attorney. See if they have that original. I keep the originals for most of my clients. I have a safe deposit box and other people who are with me have access to that in case something happens to me. You can also check with the person’s bank, and we’ll talk about how to find that in just a second, because the banks, the person who’s passed may have a safe deposit box at that bank. You want to put together a list of heirs, the legal heirs, because you will need to notify them as part of the probate process, which is usually – I’m sorry? Schenk: I don’t mean to interrupt you on that. Schenk: One thing is you’re talking about – we’ll get to the heirs here in a second – you said advanced directive. Can you brief, when you’re talking about the first thing you want to do is to figure out what the desires of the person are, which is organ donation, whatever is in their advanced directive, what is an advanced directive? Fields: Sure. An advanced directive is a document that is essentially a combination of two documents that people may be familiar with. One is what used to be called a living will, and a living will is an older type of document. A lot of people know what this is. It basically says – it’s the Do Not Resuscitate. It’s “here’s what I want to have happen if I’m ill or if I’m incapacitated” is usually when that takes effect. But it’s what you want in terms of medical care. Do you want to have breathing assistance? Do you want to fed food? Do you want water? Again, this is all if you are incapacitated and usually in a terminal state. And the advanced directive, the other thing it is, is what used to be called a healthcare power of attorney. So just like a financial power of attorney, which more people may be familiar with, a financial power of attorney gives a person the power and the authority to deal with someone’s finances, their stuff, their money, their property, a healthcare power of attorney grants someone the authority to make healthcare decisions if someone is incapacitated. So the advanced directive is a statutory form that’s put together by the Georgia legislature, so it’s wonderfully simple, of course, to read. I’m joking, it’s actually really complex. Schenk: I was like, “Okay, great.” Yeah. Fields: No, it’s the Georgia legislature, so anyways, it’s put together by a bunch of lawyers, so it’s really difficult to deal with, but it combines those two documents. It’s all smushed into one. And “smush,” of course, is a legal term. Schenk: Okay, so the directive, those are going to be things considered prior to the death. So the loved ones come into our office. The loved one has passed or is in a coma. You said, “Identify heirs.” Can you talk about that process? What is an heir and how do you identify them? Maybe I’ve got cousins I haven’t seen in 30 years in the mountains of West Virginia. Will’s definitely got cousins in the mountains scattered across Appalachia. So take us in that process. Schenk: Maybe you and Will are related. Smith: I think we are. You’re an heir. Fields: So the heirs are people who receive someone’s property if there’s no will. Generally that is going to be the spouse and the children, and if there is a spouse and there are children and everybody is alive when someone passes, then that’s easy because it’s the spouse and the children. If the spouse has already passed, but especially if one of the children has already passed or one or more of the children have already passed, then things get very, very complicated. You basically, and this is not legal advice – please consult a probate attorney – you basically go down through the descendants, which is children, grandchildren, great-grandchildren. If there are no descendents, then you go up to parents. If the parents have died before the person, that’s when you start going out to siblings and then you begin to get into cousins and various different degrees of cousins. And again, if there is no spouse and all the children have passed or if there are no children, you really need to talk to a probate attorney because in Georgia, it gets as little weird and it doesn’t stop. Some states, it only goes out so far. In Georgia, my understanding is it does not stop. It goes out to 17th-cousins or whomever you can find. Schenk: Wow. I mean I guess that’s an indicator that Georgia really doesn’t want any assets to go to the government. They want to make sure it goes to a family member. Okay, that makes sense. So identifying the heirs, that can be problematic for some people, but anyways, I don’t know how to get a courier up to Mount McClintock in West Virginia. Anyways, so finding the heirs, what’s kind of some of the next steps? And this is – we’re doing if the individual has a will. Fields: If they die without a will, then especially you need to find the heirs, because the heirs are the people who are going to inherit and they’re going to be the people who, if somebody’s going to fight, it’s going to be the heirs. So you need to find the heirs whether there’s a will or not. And so the next thing you really need to do is start collecting mail. It’s always a little weird. People don’t understand. You need to start collecting mail, because what’s going to happen is over the course of 30 days, you’re going to get statements from banks and from a lot of financial accounts, and that’s what’s going to tell you the assets, the money that’s out there that the people have, and you also will collect all the bills. The bills will tell you what debts the person had when they passed, and that’s really the job of the person who’s administering the estate is to collect all the assets, pay all the debts and then distribute what’s left. And then after you do that, or while you do that, you file the appropriate petition, and we can talk about this later, but there are a number of different types of petitions you can file. Schenk: Hey, let me – because I want to take this from a very simple standpoint – how do we know who’s going to be the administrator of the estate? Is it in the will? Is it not in the will? How do we know? Fields: Sure. So if there’s a will, it’s pretty simple. If there’s a will, there’s usually an executor who is nominated. I mean if you don’t have an executor nominated, it’s already a little bit – you have a will, you have to have somebody. If there’s a will, it’s usually simple. It’s the executor, and then there is – hopefully, there is a series of executors. If the first person is passed away already, then you go to the alternate. If that person has passed away or declines to serve, you go to the next alternate, but it’s the executor. If there’s not a will, I mean anybody can file a petition or be named as the administrator. Generally it’s family. Again, if there’s a spouse or children, it’s usually going to be one of those folks. It can be a creditor, which is the one thing that I see sometimes where the person who passed away doesn’t have family or else the family just simply sits on the estate and never files anything and basically continues to live in a house, and there’s some creditor that some person owed money to, and the creditor says, “Enough of this. I’m sick of waiting. I need to get paid,” and they’ll file a petition. Schenk: Okay, that makes sense. What’s the next process? And this is if the individual had a will. What’s the next step in the process? Fields: Sure. So if the individual had a will, then you file a petition to probate the will. I mean that’s generally – there are two types. One is to probate in solemn form, and that’s what people do most of the time. There is another one called probating in common form, which is much more rare. Schenk: And this is in Georgia. This is in Georgia. For any listeners out there, yeah, for any listeners out there, first of all, again, as Scott’s already said and we’ve mentioned previously is that this is not going to constitute legal advice. Smith: It’s just a broad overview of the legal landscape. Schenk: A broad overview. And generally what Scott is saying is going to be general principles that are generally going to be the same across the United States, but anyways, go ahead. Fields: Yeah, I have no idea what other states do. I’m just talking about what happens in Georgia. Fields: And actually the process is pretty much the same whether there’s a will or whether there’s not. It’s a different petition that you would file, so we’ll keep going with the will. Generally what people do is they’ll file a petition to probate in solemn form, and when you do that, you have to notify all the legal heirs, even if they don’t receive anything under the will. You have to notify all the people who would be the legal heirs, which is why you need to identify them. They’ve got to get a copy of the petition and a copy of the will. Fields: Yeah, basically legitimizing the document and giving somebody the legal authority to carry out the will. Schenk: Yeah, okay. And that’s going to be the same… What’s the probate process when there is no will. Schenk: That makes sense. So can you first tell me from the time that the person wants to begin the petition process if there is no will to the time where letters of administration are granted, how long does that process usually take in Georgia? What’s the estimated time? Fields: Sure. So once you file the petition to the granting of the letters – and again, this is once you file the petition. I usually tell my clients 45 to 60 days if nothing goes wrong, and of course, this is law – something frequently will go wrong, but the lowest is probably 45 to 60 days. The longest I’ve ever had before someone was appointed was about nine months, and there were a lot of hiccups in there. So it’s one of those things that when you file it, it’s not immediate. There are a couple of things you can do to do it quickly, but you lose a lot of authority or you don’t have a lot of authority when you do it that way. But generally, I tell people 45 to 60 days, on the outside, maybe three months. Schenk: Can you walk me through what are some pain points that would make the process take longer? Are you talking about maybe two brothers are fighting about who should be the administrator? Or maybe somebody’s saying that somebody is not truly a family member? What are the pain points of this process? And again, we’re talking about if there is no will. Smith: Sure. So the most common two that I see are the person who’s filing the petition did not provide all the information. So we find out that there are heirs that the person either didn’t know or neglected to tell us about, or there’s something incorrect in the petition. I had one where the address was incorrect for the person that passed away, and come to find out that based on that incorrect address, we filed in the wrong county. So we had to stop and start over in a different county, and of course, I think that was the one that took nine months. That was the one that took the longest because there were some other issues with nobody could find the original will and everybody was, the people we were dealing with were pointing fingers – “He has the original will,” “No, he has the original will,” and back and forth. Schenk: What would be the basis of an objection to say this person – is it like fitness of character or what would be the basis of an objection to somebody being an administrator? Fields: Well people will bring an objection on all sorts of grounds, but again, what I have seen generally is it’s a fight over who’s going to get what assets. I mean it’s generally a fight over money. Fields: …Which in my mind is kind of ridiculous, because who is going to receive what assets is determined by law. It’s not some administrator sitting there saying, “Well I’m going to give myself 90 percent and then I’ll pass out the remaining 10 percent to all these other folks.” You don’t get to do that. How much everybody gets is based on the law. What does the will say? Or how many heirs are there and who exactly were the heirs? Smith: And just going along with that, Scott, because this is something that a lot of viewers always want to know, can you give us generally what you’re looking at, generally – sorry, Rob just turned my volume down for a second – generally what you’re looking at when you’ve got a personal injury case like ours. Let’s say that you get a settlement or a jury verdict and you’ve got money, and there is a surviving spouse and there are children. Generally speaking, how does that get doled out? Fields: Well if there’s a will, it gets doled out according to the will. That’s very simple. Fields: If there is not a will, in Georgia currently – because this number keeps changing as the legislature meets and changes things – but currently, it is equally between the spouse and children, so if there are one or two children, then everybody gets an equal share. So if there’s one child, the spouse gets half, the child gets half. If there are two children, the spouse gets a third, each child receives a third. The spouse will always receive a third. The spouse will never receive less than a third. So if there are four children, all of a sudden you get the spouse receiving a third and the other children are sharing two-thirds, and that’s where the math gets weird and you’ve got to get out your calculator. Schenk: Wow. So Scott, this episode has pretty much flown by. I think that if you wouldn’t mind, we would love to have you on to talk about this again, maybe even next week. Schenk: But anyways, Scott, what can residents of the great state of Georgia do if they want to get in contact with you? Fields: Sure. Probably the easiest way to get in touch with me would be to call. Just give me a call on the telephone. My number is 404-532-9953. If you want to send me an email, it’s scott@sbfieldslaw.com. And that’s generally – those two… I’m older, so messaging and sending Tweets, that just doesn’t work for me. Just call me or send me an email. Schenk: And a phenomenal first guest. Smith: And a phenomenal first guest. Smith: You’re amazing. We appreciate you being on the show. Schenk: Thanks again, Scott. Have a great rest of the day. Fields: Sure guys. Real quick, I was never a software engineer. Smith: I thought you said you were. Fields: I was a software process engineer. Smith: No one knows the difference between those things, Scott. Schenk: I’m still confused about what you just said. Fields: Well hey, I’ve got a lot of friends who are software engineers and they will just kill me. Smith: Well if any one of those friends is watching this video podcast, I will personally take them out for a Denny’s Grand Slam breakfast. Fields: Yeah, my credentials – don’t give me too much, but software engineering is just something I could never do. Smith: Okay, we will address it. Schenk: We’ll edit it out. It’ll be “software not engineering.” No, that’s going to conclude this episode of the Nursing Home Abuse Podcast. As we all know, this podcast is available not only in audio form on Stitcher or iTunes or wherever you download your podcast, but it’s also available for watching on the Schenk Smith YouTube channel or on our website, which is NursingHomeAbusePodcast.com, that is NursingHomeAbusePodcast.com. On behalf of Scott Fields, my name is Rob Schenk. Smith: And I am Will Smith. Schenk: And we will see you next time.